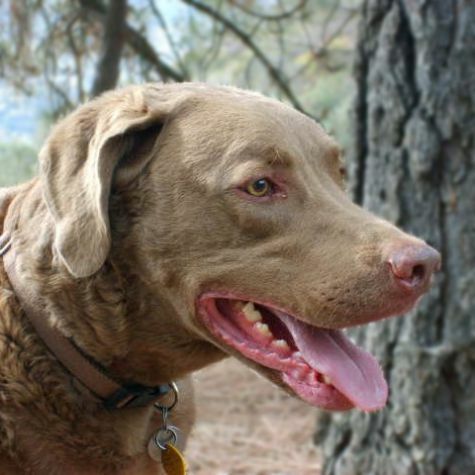 Parker is a Chesapeake Bay Retriever. In his spare time, Parker loves to retrieve his toys while out on long hikes in the mountains. He is an expert swimmer who will spend hours at Dog Beach crashing through the waves to retrieve his toys. Parker also loves to be rubbed on his rear end, which makes him stomp his back feet. When he visits at CHLA, he always wants the kids to throw his toy goose so that he can bring it back to them.